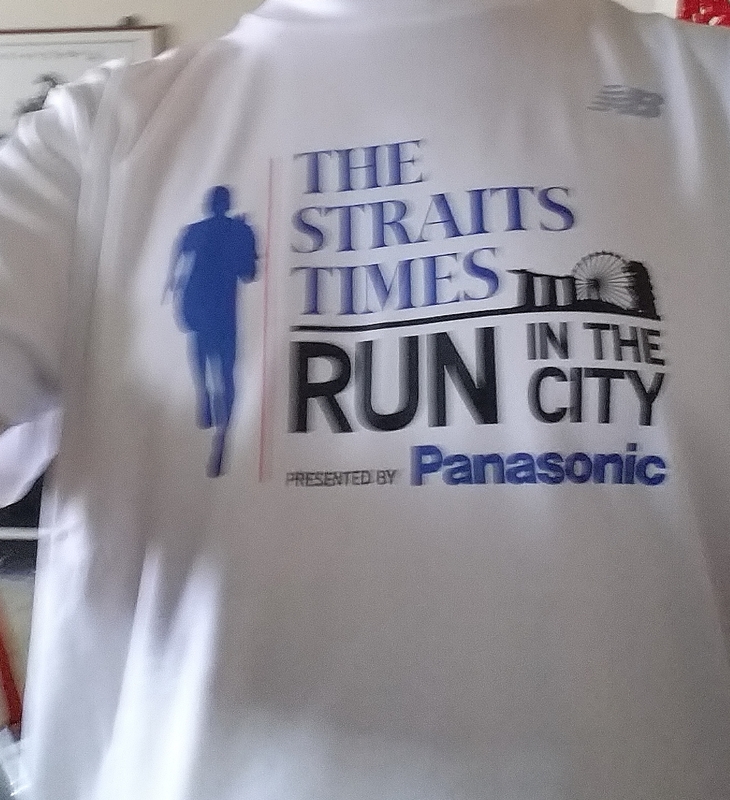 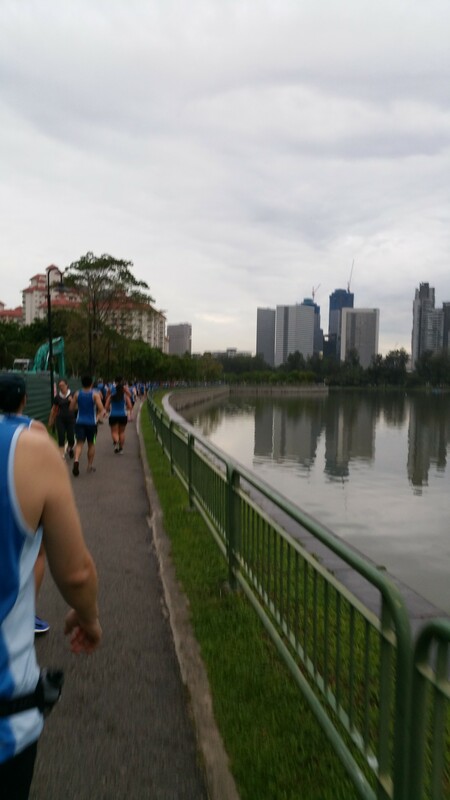 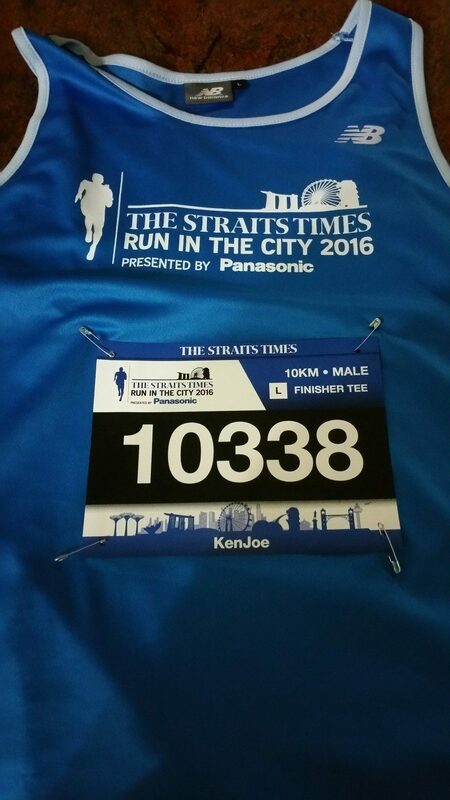 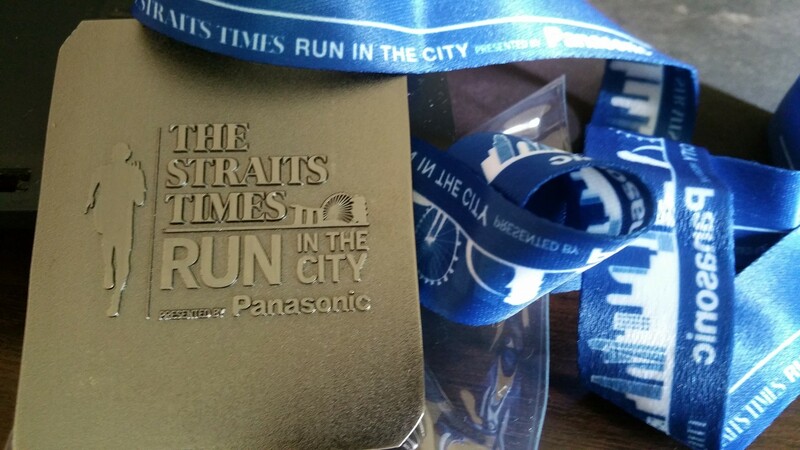 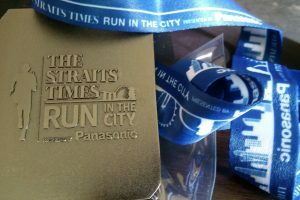 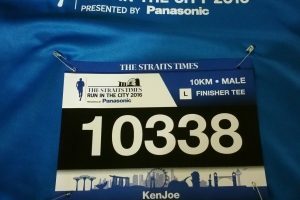 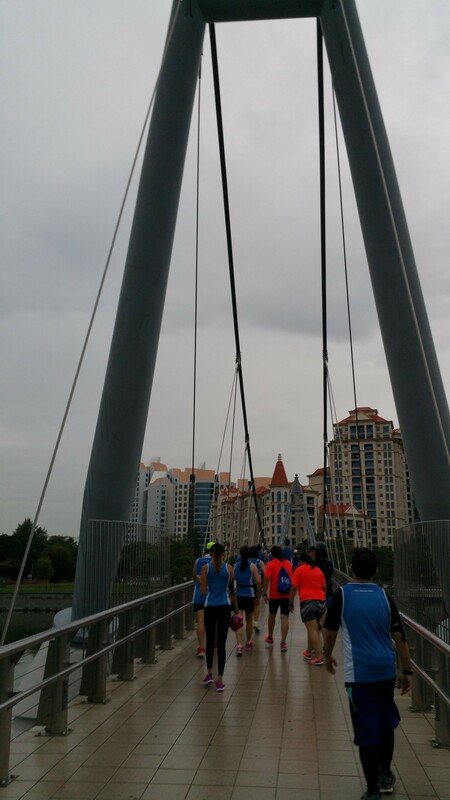 Race Review: The Straits Times Run in the City 2016 (by KenJoe) | JustRunLah! 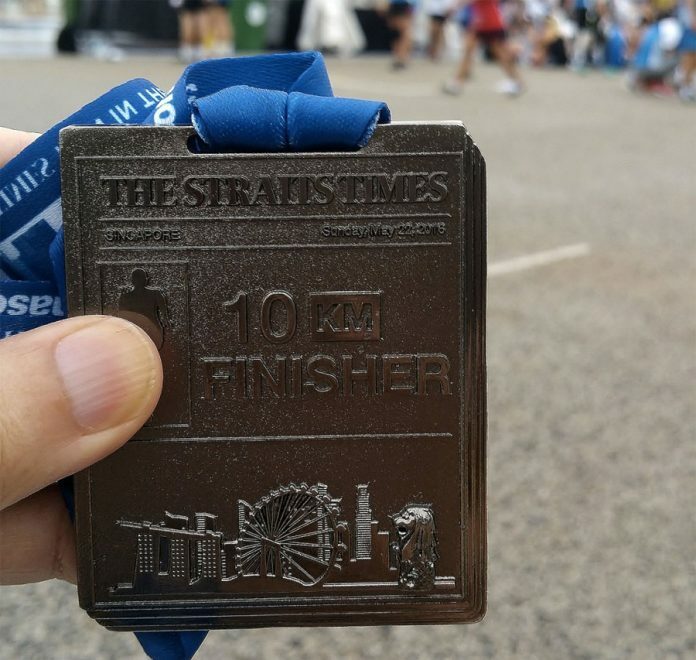 I ran my first Straits Times (ST) Race, my very first 10 km race, back in late 2014 and hence this was my third ST Run. 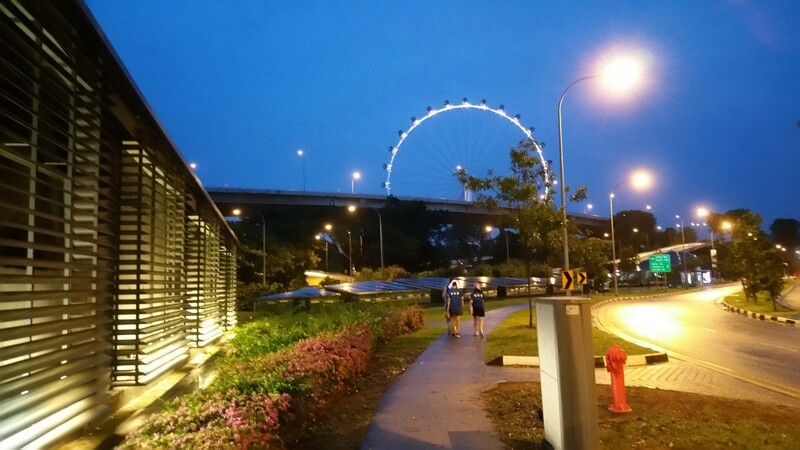 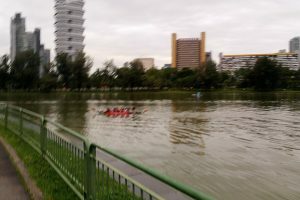 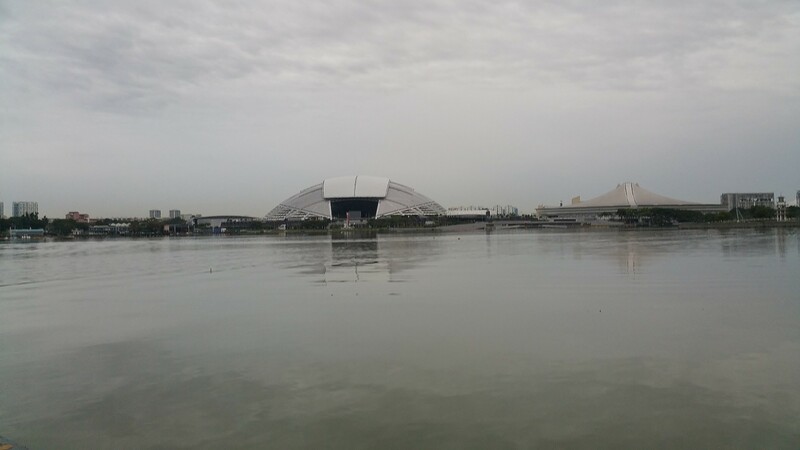 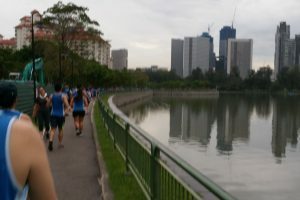 The route was a change from the last two years finishing at the Sports Hub, (the 4th one in the series), having the race start and end at the F1 Pit Building would have runners take in more of Singapore’s cityscape. 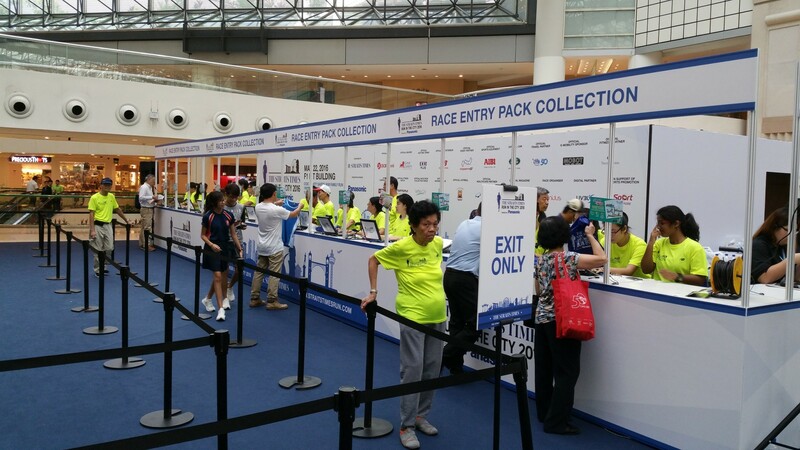 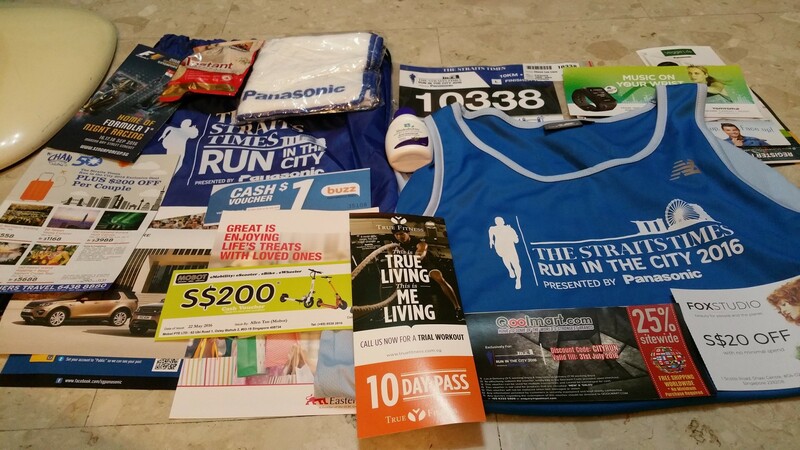 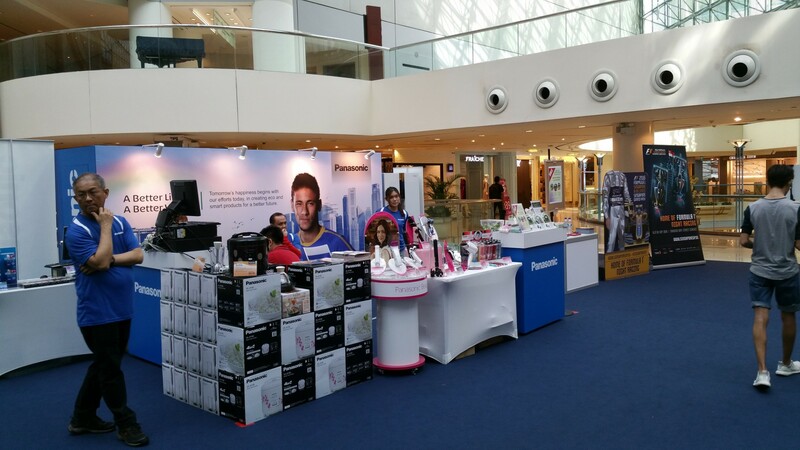 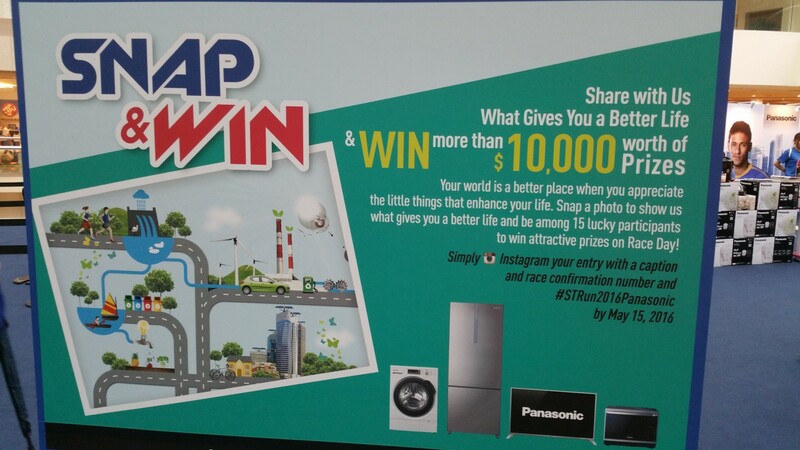 The race pack collection period was from 13th to 15th May, at Raffles City Atrium, Level 3. 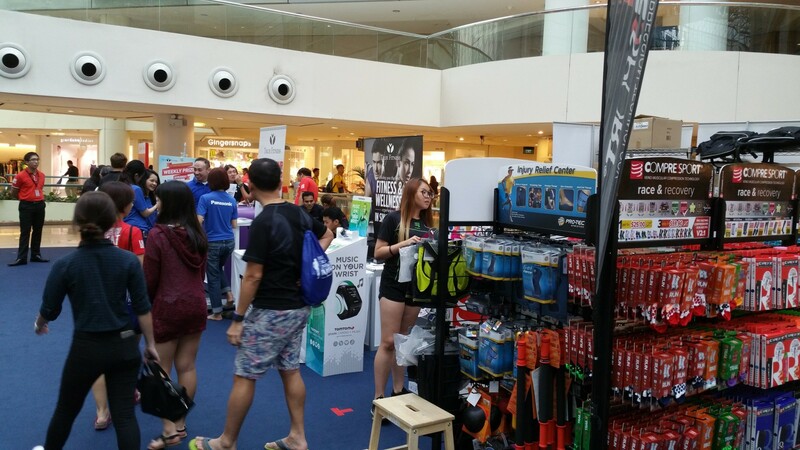 I collected on Friday and it was a breeze – no queue. 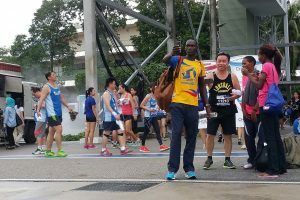 The singlet was a different hue of blue from last year’s, one of my favorite colors and comfortable so I donned it for the race too. 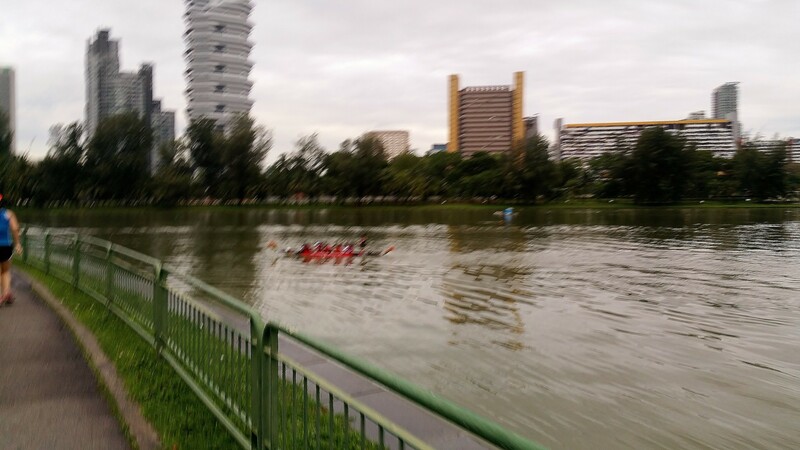 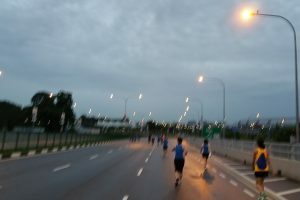 On 22nd May, I set off early for the 10 km race, waking up at 4.48 am, again before the alarm clock could sound at 5 am. 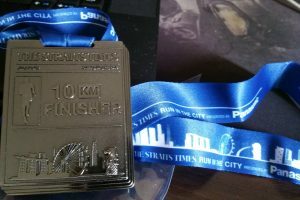 That way, too, I avoided waking up the whole family. 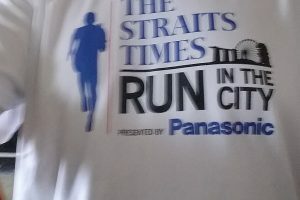 Finished my usual pre-race breakfast early too, but I made a wrong decision to get there by GPS shortest path, hitting the road blocks and hence ended up quite late for the race. 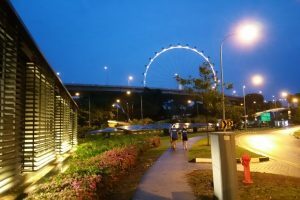 I decided to park at Gateway West. 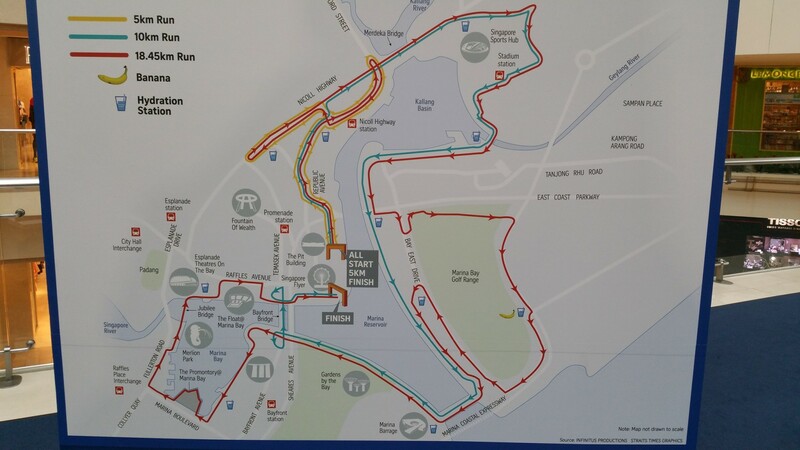 This race route wasn’t unfamiliar as other races had also started at F1 Pit Building. 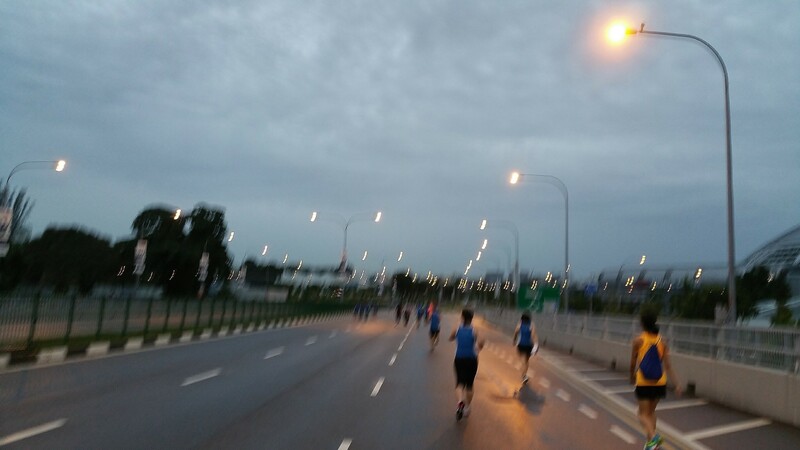 Only this time, I had my smartphone with me and stopped to take a few pictures at certain points. 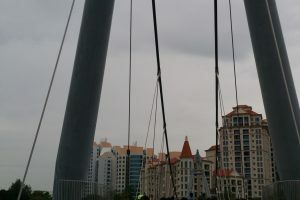 Due to the weather however, not all came out alright. 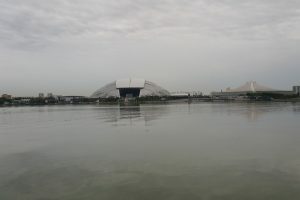 Anyway, it was different as I had more time to look around and enjoy the scenery – nice skyline, canoeing in the waters etc. 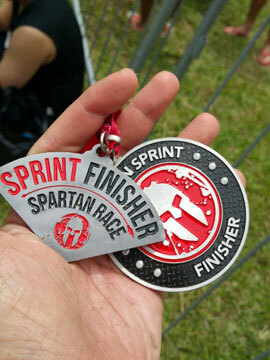 I had enough energy to sprint too, the last hundred or so metres. 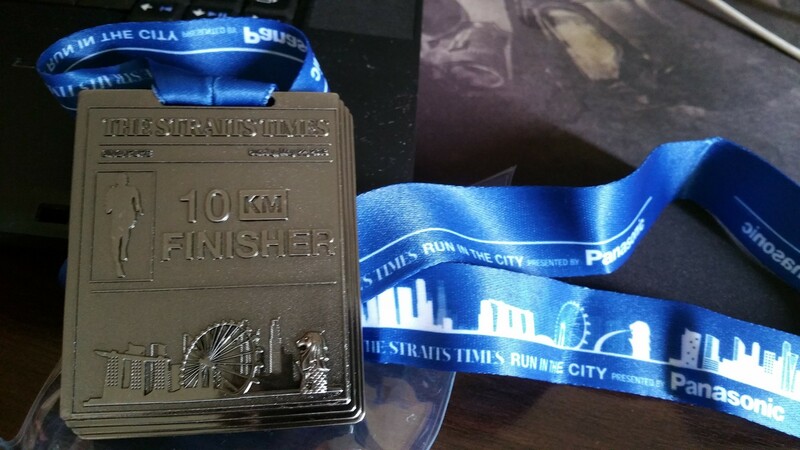 Good race and I loved the rather ‘solid’ look of the medal – with the engraved merlion standing out. 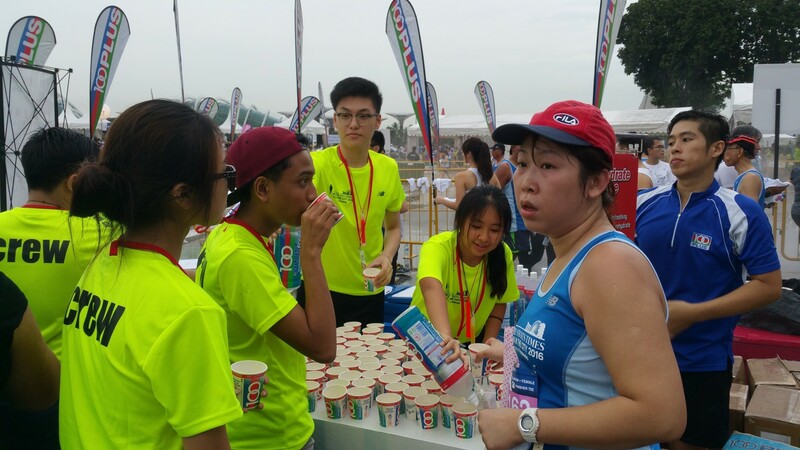 Hydration was more than adequate, every 2 km or so, and each km was clearly marked. 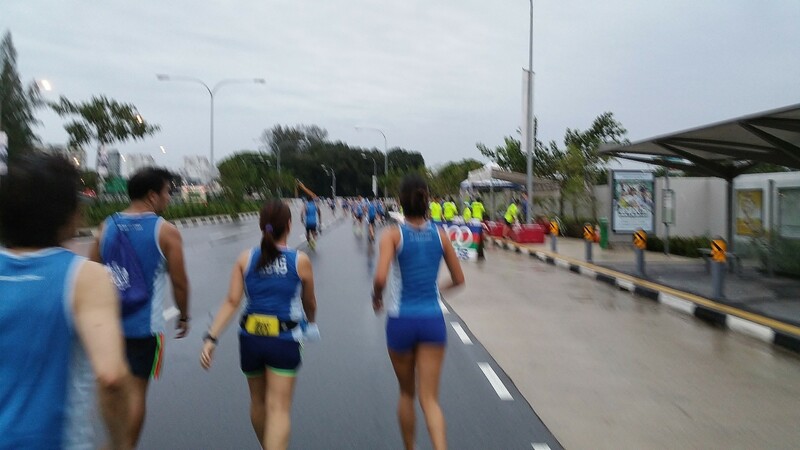 Volunteers were awake and lively, gamely cheering the runners despite the drizzle earlier. 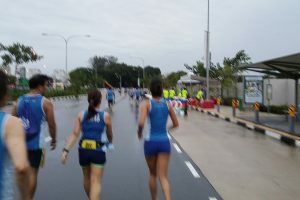 There was also live music near the beginning of the route. 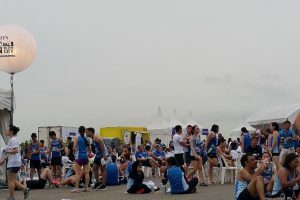 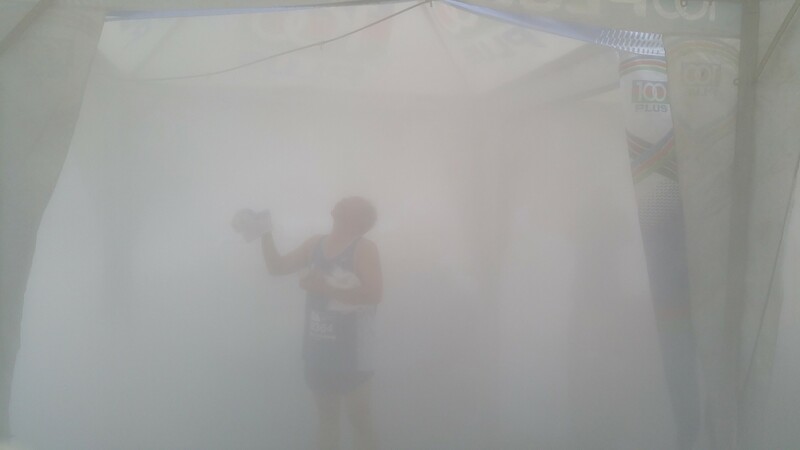 At the end, runners could go to the 100Plus Cool Zone for the mist fans to cool down. 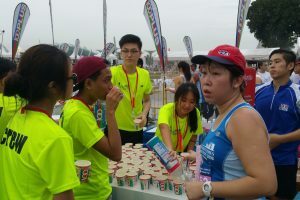 There were also other goodies offered like Old Chang Kee bites and cotton candy for folks and fun activities like changing tyre of a replica F1 car to indulge in but a pity I was in a hurry to get somewhere else in the morning.